The Portable Man Cave (PMC) is the perfect tailgating solution. 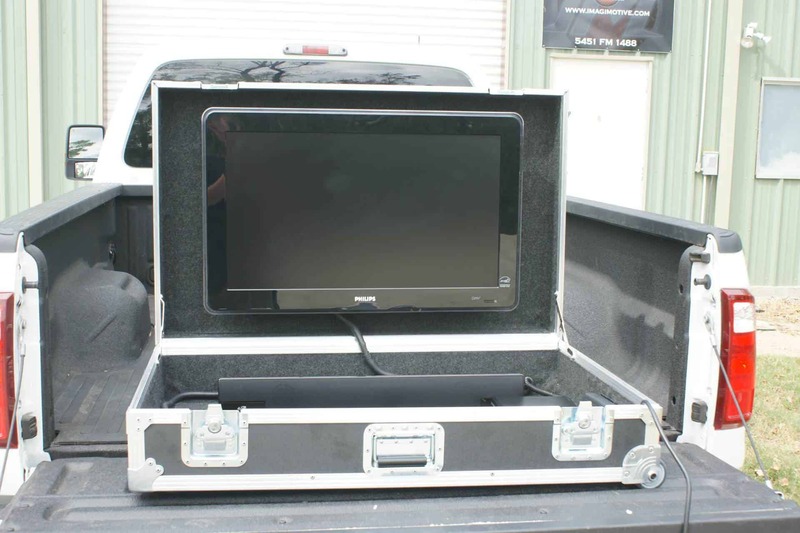 The PMC is designed for the back of trucks, SUVs, and at sporting, sales, and special events. The Portable Man Cave is the way to bring high-end tailgating entertainment to any party. The PMC has room for your television, sound system, and satellite receiver. You can also purchase it with a self-finding satellite and a portable generator. Seriously, we challenge you to find a more compact, functional, and down right awesome tailgating product. Everything you need to throw an unforgettable outdoor party, your Portable Man Cave. Head to the great outdoors for camping, have a block party, or tailgating at your favorite sports event with the fully Portable Man Cave. Ready to be a tailgating king? Order a Portable Man Cave today!